Our mentors are friendly, experienced Common Lisp developers who will help teach you new techniques and tricks. Common Lisp is an offshoot of the long-running family of Lisp programming languages. It's a multi-paradigm programming language that allows you to choose the approach and paradigm according to your application domain. Common Lisp has fast prototyping capabilities, and exceptional support for object oriented programming. It also boasts a macro system which allows you to adapt the language to your needs, and a run-time environment which allows modification of running applications. To learn more about Common Lisp, take a look at the Common Lisp homepage. 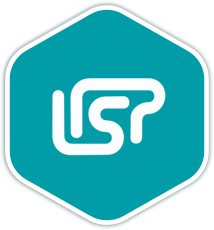 Once you join the Common Lisp language track, you will receive support and feedback from our team of mentors. Here are the bios of a few of the mentors of this track. I fell in love with Common Lisp for its interactivity, metaprogramming and uniform syntax. If I have any say, it's usually my language of choice for both professional and personal projects. I love Lisp, functional programming, and the nostalgia behind Common Lisp. I have always been interested in Lisps since taking the SICP course in college. I love the expressiveness and conciseness of the simple syntax, and the ability to build the language upward to meet the domain. I dabble with Common Lisp and find it interesting because of minimal syntax and the amazing functionalities which the syntax brings. A functional programmer who loves Haskell, Lisp, Rust, and Elixir. These are a few of the 40 exercises on the Common Lisp track. You can see all the exercises here. The Common Lisp Maintainers are the brains behind the Common Lisp Track. They spend their spare time creating interesting and challenging exercises that we can all learn from. We are incredibly grateful for their hard work. Here are the bios of a few of the maintainers of this track. Get started with the Common Lisp track. As with everything on Exercism, it's 100% free!